Calgarians love RiverWalk. 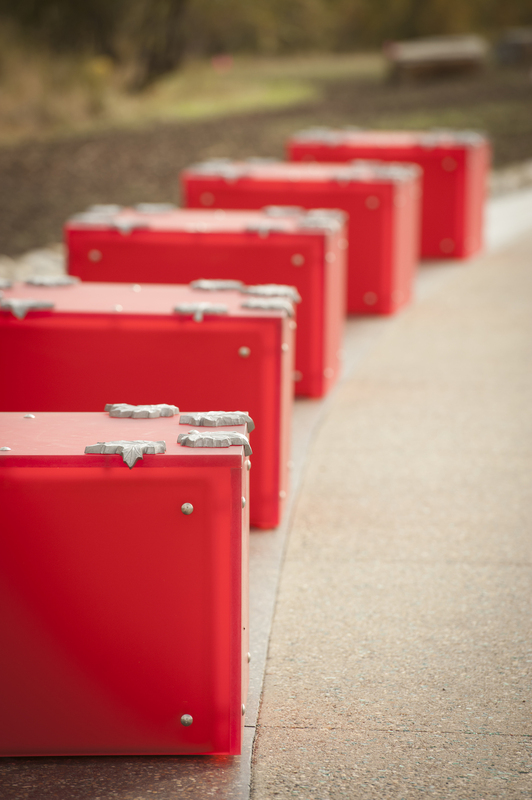 Hundreds of fresh air enthusiasts run, cycle and stroll along the award-winning pathway every day. And no wonder. Dedicated pedestrian and cycle lanes wind their way along the edge of the Bow and Elbow rivers, dotted by restful benches nestled among naturalized vegetation. Glass-fronted outlooks that jut out over the water and wide basalt steps that lead down to the river offer Zen-like places to pause, reflect and unwind. 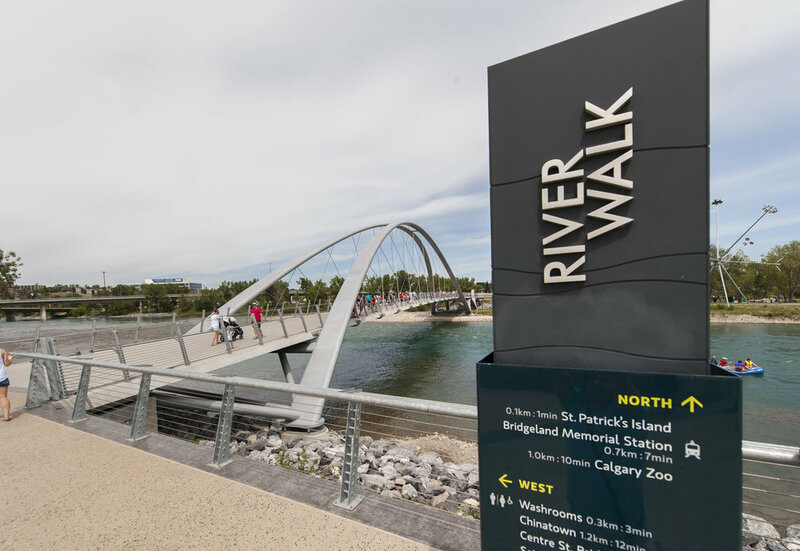 Stretching all the way from the Centre Street bridge to 9 Avenue SE, RiverWalk is both a destination and a rejuvenating way to get from point A to point B, and beyond. RiverWalk Plaza, between the Simmons Building and the Bow River, is a favourite spot for outdoor programming of all kinds. Beakerhead festivities, food truck frenzies, artisan markets, opera festivals and much more have turned RiverWalk into a cultural hub. 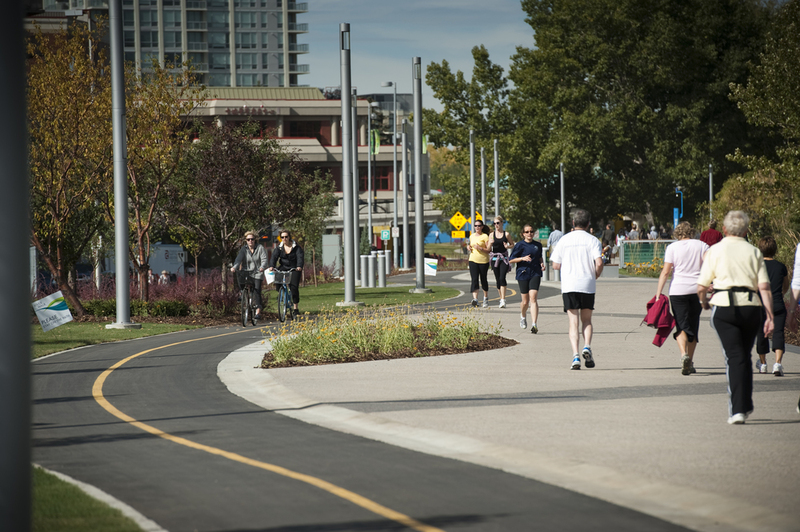 More than just a recreational pathway, RiverWalk offers walkers and cyclists from neighbouring communities a safe and efficient daily commute to downtown, all without adding more cars to city roads.